Cosmetic dentistry is a branch of dentistry that combines the health of the teeth and their aesthetic value. All cosmetic dentistry procedures and products aim to improve your oral well-being as well as the appearance of your smile. At Prosthodontics of New York, Dr. Roberts and Dr. Sirota strive to provide you with the best dental care. Our cosmetic dentistry services include dental bonding, porcelain veneers, inlays and onlays, and teeth whitening. 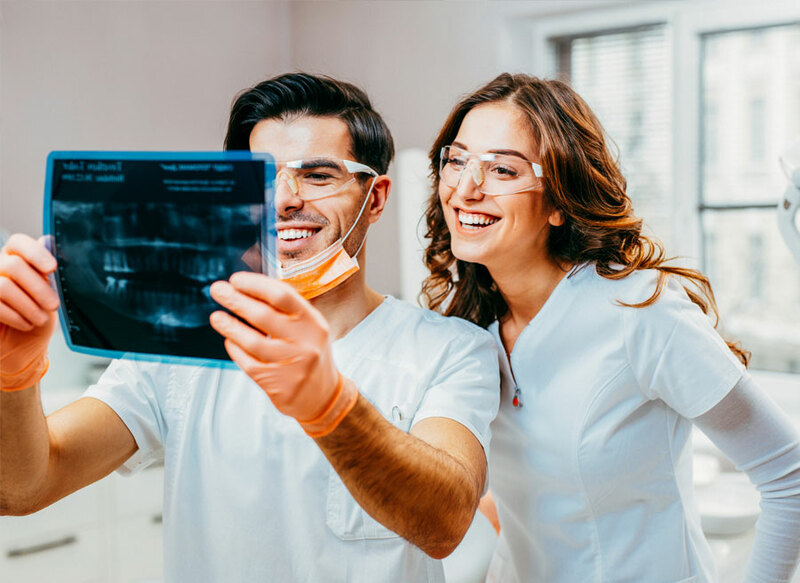 Dental bonding is tooth-colored plastic that, when applied to the front of a tooth, can be sculpted to restore, reshape, and rejuvenate the smile. The bonding can improve both the function and appearance of a tooth that has been chipped, cracked, broken, or misshapen. In addition, dental bonding can be applied to stained teeth or to fill in the spaces between teeth. Porcelain veneers are thin shells that are custom made to cover the front of a tooth. Veneers are tooth-colored and are bonded in order to create a white, uniform, and attractive smile. At Prosthodontics of New York, we choose to place veneers made of porcelain because of its durability. Porcelain veneers can correct color and shape-related problems including spaces between teeth, broken or chipped teeth, stained teeth, small holes in teeth, or uneven teeth. Inlays and onlays are restoration options placed in or on a tooth when it is damaged or decayed. Similar to crowns, inlays and onlays are named for the location in which they are placed on the tooth. Inlays are a durable alternative to a typical filling and are placed within the tooth’s chewing surface, between the cusps. At Prosthodontics of New York, we can fabricate and place your inlay in our office. If the damage is too extensive for an inlay, but not extensive enough for a crown, we may place an onlay. Onlays are placed on the chewing surface of the tooth as well as one or more of the cusps. Onlays can save and strengthen a tooth without the need to replace the entire tooth. Inlays and onlays, when properly cared for, can last up to 30 years. Teeth whitening is a gel that can remove staining or discoloration from the surface of teeth. This staining and discoloration can include food stains, tobacco use, age or injury. Whitening is one of the most popular cosmetic procedures and patients can receive Opalescence Boost for in-office or at home treatment from Prosthodontics of New York. If you would like to know more about our cosmetic dental services, call 212.758.9690 to schedule a consultation with Prosthodontics of New York. Our practice serves Manhattan, NYC and surrounding areas.